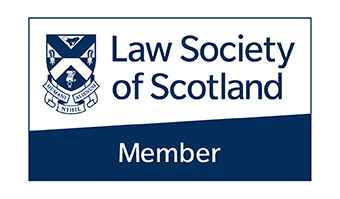 We were delighted to be asked on to STV’s Scotland Tonight show last week to discuss the stormy issue of adverse weather and employee’s rights. Are employees entitled to be paid on a snow day? Mel Boyle nutritionist and founder of Smart Balanced Living suggests ways to help us all to adopt healthy habits while we are at our desks and explains that each little change can help towards our wellbeing. What is Ergo Law doing on International Women's Day 2108? How does it feel to raise an employment tribunal? Guiding clients through a tricky spot, resolving their problems and getting great feedback afterwards, these are a few of our favourite things. Are termination payments always tax-free? What is a COT3 and what do I need to think about before signing one? A COT3 is a legally binding agreement to settle actual or potential claims in the Employment Tribunal. It is similar in purpose to a settlement agreement though the wording of a COT3 tends to be more concise. What is a protected conversation? Employees' questions answered by our employment solicitors. A settlement agreement usually (but not always) arises in the context of the employment being terminated. These agreements used to be known as compromise agreements. We often receive enquiries about flexible working from women returning to work after maternity leave or looking for a more family-friendly arrangement. Here are our top tips to maximise your chances of having your employer agree to your flexible working request. We explain some key points about settlement agreements. To enable employers to be better equipped to deal with the things that life (or employees) might throw at them. For parents who are employed, the sudden requirement to find childcare at short notice may mean they are left with no choice other than to take time off work. Here are some things to bear in mind about your employment law rights in these situations. When surrounded by so much secrecy, it can be difficult to know whether the settlement agreement that you have been offered represents a good deal or not. We are specialists in negotiating settlement packages and are experienced at guiding our clients through the process of ending their employment with a settlement agreement. Here are our insider tips about how to approach a settlement agreement and to achieve the best out of negotiations. As political personalities ‘clash’ over the UK’s EU membership, we consider three ways in which the EU directly influences the way we work in the UK (and provide you with an earworm that will stick with you all day).